As American policemen in London, Bud and Lou meet up with Dr. Jekyll and Mr. Hyde. This is a film I never seen before... but I definitely enjoyed every minute of it. 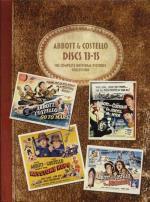 It's Abbott and Costello... what is not to like about these films? Though it is slightly different then most of their other films that I have seen. in this one they went more with physical comedy then all the jokes. It was almost like I was watching Three Stooges instead of Abbott and Costello. Even with that said... this one is well worth the time put in to watch it. I enjoyed this film. I liked that you had the predicable tropes, and you thought you knew where they were going, and then it turned out that it wasn't exactly what you thought it was. I thought they were a fresh enough take on these sorts of tales to be interesting. While I wasn't particularly impressed with the acting, I didn't think anyone did a bad job either. I really liked the way the film looked - the bright jack 'o lanterns, the rich colors of the Halloween festival, the eerie grayness of the quarry, the grim loneliness of the curmudgeon's house. It had a really good look to it. My favorite part of the film, though, is Sam. I loved his character design, how he cropped up in each story, and how there was no explanation given for him. He simply is, and as a viewer we are left to draw our own conclusions. He was both the creepiest and best part of the film, IMO. I'd recommend this. It was a fun film. 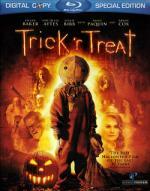 Trick 'r Treat is somewhat of a cult favorite. And actually enough so, that a sequel has been made. I quite enjoyed it myself. 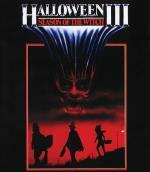 Maybe I should make it this year's Halloween viewing. 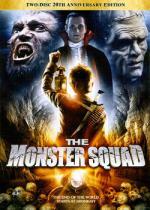 The Monster Squad is an old favorite of mine. I have watched it countless times and found it to always be good for a few laughs. The lines "the Wolfman has nards!" and "Well there is Steve but he doesn't count!" gets me laughing every time I watch this movie. I like how they have all the classic monsters in this movie. They made the story fun and interesting at the same time. This movie would make a good introduction for kids that are curios about horror movies. If by chance you never seen this movie I would definitely recommend it to all. 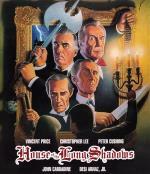 Starring: Vincent Price, Christopher Lee, Peter Cushing, John Carradine, Desi Arnaz Jr. Newly Re-mastered in HD! Horror legends Vincent Price (The Oblong Box), Christopher Lee (The Crimson Cult), Peter Cushing (Madhouse) and John Carradine (The Sentinel) star as the screen's greatest gruesome foursome! When a young novelist, Kenneth Magee (Desi Arnaz, Jr., Billy Two Hats) spends a night at Baldpate Manor to win a bet that he can turn a best-selling novel in 24 hours, he gets more than he bargained for. The grizzly Grisbane clan arrives to celebrate the 40th anniversary of a ghoulish family secret. And their dinner party has murder on the menu. Lightning! Thunder! Torrential rain! Clattering shutters! Creaking doors! A locked attic! A sinister secret! Murder! All the ingredients of the classic "Old Dark House" tale come together in this top-notch horror film by cult film-maker Pete Walker (House of Whipcord). Co-starring Richard Todd (The Assassin) and Sheila Keith (Frightmare). Price, Lee, Cushing, Carradine. These are the reasons to watch this film. They're all the elder statesmen of horror by the time this film gets made (Lee is the youngest at 61), and this is the only film that all four appear in together. If you're a fan of any of these actors, and most especially if you're a fan of all of them, their performances make this film worth watching. All of them are superb. Arnaz Jr. is also competent enough in his role. On the other hand, the neat little twist at the end is completely overshadowed by the lame second twist and the lamer third twist. Though it's true to the novel that inspired it (Seven Keys to Baldpate), I really think the film would have been better leaving those off and ending the film before the second twist. The repeat twists were very much a let down after the rest of the film. I was also really annoyed by Julie Peasgood's character. Every time she would scream and cower all I kept thinking was "what a useless person!" Recommended if you're a fan of the four lead actors. These men are always a treat to watch, and this film is no different. Not necessarily for the more casual, or modern, horror fan - I'd recommend a number of their earlier films first, simply because of the let down in the ending here. 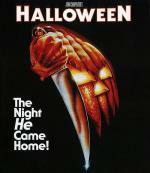 "Halloween," says Entertainment Weekly, "is, was, and ever shall be the alpha and omega of boogeyman flicks." And to commemorate its legacy as one of the greatest horror films of all time, John Carpenter's 1978 masterpiece is now presented in this ultimate fan edition. This Blu-ray features a newly remastered HD transfer supervised by cinematographer Dean Cundey, all-new Dolby TrueHD 7.1 audio AND original mono soundtracks, an audio commentary reuniting director John Carpenter and star Jamie Lee Curtis, an hour-long Curtis featurette, and much more. The immortal original is back and now more terrifying than ever. This is the night Michael Myers comes home like you've never seen or heard it before! This is of course a classic horror that I must watch every year around this time. I normally like to save the Halloween movies for Halloween day... but now that I have the entire collection in this awesome blu-rsy set there is no way I would get them all in within the one day so decided to watch them through-out the month. This is of course the one that started it all... and finding out from one of the featurettes on the disc... a movie that was shot very quickly and cheaply. You would never know it watching the movie. I feel they all did an awesome job on this movie! While it would be hard for me to believe... if there is any horror fan out there that never seen this movie... I highly recommend checking it out ASAP! Picking up exactly where the first film left off, Halloween II follows the same ill-fated characters as they encounter the knife-wielding maniac they left for dead in the first film. But the inhuman Michael Myers is still very much alive and out for more revenge as he stalks the deserted halls of the Haddonfield hospital. As he gets closer to his main target, Dr. Loomis (Donald Pleasence) discovers the chilling mystery behind the crazed psychopath's actions. 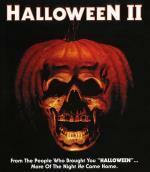 Written by John Carpenter and Debra Hill, Halloween II is a spine-tingling dark ride into the scariest night of the year...more of the night "He" came home. This one I like... as it takes over where the first one left off. So it is definitely a good continuation into the series. But that being said... I liked the first one a little more. But this is more then worth the time put in to watch it. Definitely recommended for any horror fan. Mike feels let down when his daughters aren't into celebrating Halloween with him the way they used to. He decides that his two-year-old grandson, Boyd, can be his perfect trick or treat partner. But Kristin, Boyd's mother, adamantly tells him that she doesn't want her son to go out on Halloween. A fun episode. It was good for a few laughs. Though I did find it to be very predictable. I had already figured out the reason she didn't want her son going out trick or treating way early into the episode. Plus I think Tim Allen did make better Halloween episodes for his earlier series Home Improvement. But over-all the episode was worth the time put in to watch it. Vanessa designs the haunted house for Halloween at Boyd's school and ends up scaring Boyd with her ideas, which Mike thinks is OK.
Another enjoyable episode. A little more entertaining now that the character Boyd is a little older and can enjoy the holiday. When a terrified toy salesman is mysteriously attacked and brought to the hospital babbling and clutching the year's most popular Halloween costume – an eerie pumpkin mask – doctor Daniel Challis (Tom Atkins, The Fog, Night of the Creeps) is thrust into a terrifying Halloween nightmare. Working with the salesman's daughter, Ellie, Daniel traces the mask to the Silver Shamrock Novelties company and its founder, Conal Cochran (Dan O'Herlihy, Robocop). Ellie and Daniel uncover Cochran's shocking Halloween plan and must stop him before trick-or-treaters across the country never come home in this terrifying thriller from writer/director Tommy Lee Wallace (Stephen King's IT). It has been my experience... at least until recently.... that most people would dismiss this movie for no other reason then this one does not have Michael Myers in it. I personally always enjoyed this movie... as I always watched it as a separate movie from the rest of the series. Sure it isn't the best movie I have seen... but I always found it was well worth the time put in to watch it. I must say... I really had a good time watching this film. It has great atmosphere and all the visuals was done beautifully. 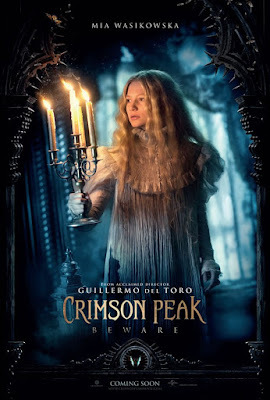 The ghosts in this film was done a bit differently then I have ever seen before... at first I wasn't sure how I felt about it but by the end of the film I decided yes it was different but I liked it. Also without giving too much away I must say this one is more then just a ghost film. And it is one that easily keeps your attention through-out the entire story. I feel comfortable recommending this one. I for one can't wait to add the blu-ray to my collection when it is released. CIGARETTE BURNS – John Carpenter (HALLOWEEN, THE THING) directs this grisly mind-blower about the search for a lost movie that may plunge audiences into a homicidal frenzy. 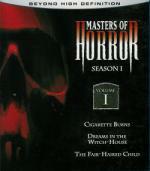 DREAMS IN THE WITCH-HOUSE – A stressed-out student discovers madness, murder and unholy mayhem in this shocker directed by Stuart Gordon (RE-ANIMATOR) and based on a story by H.P. Lovecraft. THE FAIR-HAIRED CHILD – Lori Petty stars as a grieving mother with a remote estate and a very hungry secret locked in the basement in this twisted tale from director William Malone (HOUSE ON HAUNTED HILL). I really enjoyed this series a lot when it originally aired. And found it fun to revisit the series again. The episodes on this particular disc really aren't my favorites of the series but enjoyable all the same. CIGARETTE BURNS: The first thing I notice on this episode is that it stars Normn Reedus of The Walking Dead fame. It is a very strong and interesting film. But at the same time it is definitely a bit on the weird side. That... of course... is not a bad thing. This episode is also pretty heavy on the gore. More so the second half of the episode... but it is definitely there. DREAMS IN THE WITCH-HOUSE: This is another episode that I enjoyed quite a bit. The story kept my attention and I liked the characters... and I would be amiss if I didn't mention the rat in this episode... a rat with a human face... kinda a pet of the witch. Definitely a creepy idea... and the effects was done nicely. I actually got a kick out of him. THE FAIR-HAIRED CHILD: This one is probably my favorite episode on this disc. Interesting story... good special effects... a nice amount of gore. Pretty much everything you can ask for in an episode. I also enjoyed the resolution at the end of this one. Even if it was somewhat predictable. These episodes was really worth the time put in to watch them. While I am glad I got this first season on blu-ray I am sorry to say that most of the awesome extras from the DVD releases is sadly missing from the blu-rays. Pretty much only got the commentary tracks for each episode. I so love the horror movies of the '80s. 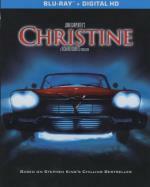 This is probably because the early '80s is when I first started watching horror, And Christine has always been a favorite of mine. Matter of fact this film is probably my first taste of Stephen King who I have since become a big fan. This film has a good story that keeps your attention through-out as well as characters you care about.This is one I definigtely recommend if you never seen it. A new owner and several young counselors gather to reopen Camp Crystal Lake where a young boy drowned and several vicious murders occurred years earlier. 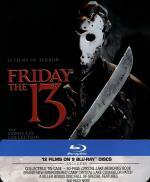 They've ignored the locals' warnings that the place has a death curse... and one by one they find out how unlucky Friday the 13th can be as they are stalked by a violent killer.